MOSCOW (Sputnik) — The upcoming talks of Saudi King Salman Al Saud and Russian President Vladimir Putin will touch Syria and further rapprochement between the two countries on this issue is possible, Zakhir Harisi, the head of the Foreign Affairs Committee at the Saudi Consultative Assembly or Majlis Ash-Shura, told Sputnik. 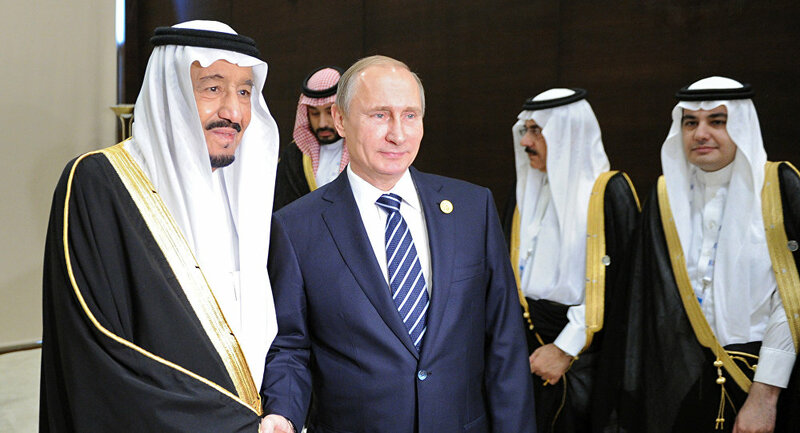 Earlier in September, an informed source told Sputnik that the Saudi king would visit Moscow on October 4-7 to hold a meeting with Putin and sign a number of documents. Kremlin spokesman Dmitry Peskov confirmed on September 21 that the preparation for the visit was underway. "I expect the rapprochement and big mutual understanding… I suppose that the Syrian issue will be the most important topic of the discussion of the two leaders," Harisi said. According to the lawmaker, this rapprochement is in the mechanisms of solving the Syrian conflict, while Moscow and Riyadh are the leading players in this process. "Russians are different from others as they keep their promises, and Saudi Arabia believes that Russia's presence is important for achieving balance of power in the region," the lawmaker added. Harisi said that he expects the two countries to sign agreements in many areas besides the defense sector. Earlier in September, Saudi Minister of Foreign Affairs Adel Jubeir called the upcoming visit of King Salman to Russia a historic one and demonstrating the scale of bilateral dialogue.